Runners Diet: Fuel Your Workout and Maintain a Healthy Weight. Runners diet, what are you looking to get out of it? Some of us want to slim down; others just want some good food to fuel our runs. Whatever your goals, here are some runners diet tips. There are some vitamins that are especially important to runners. 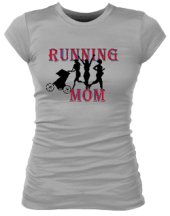 Here is a list of some of the most important running nutrition that a running mom needs. Protein shakes are best taken in the first 30 minutes after your run. Here are some tips on good protein shakes and supplements to choose from. Before you run (the night before and the morning of if you're running in the morning, the meal before if you are running in the evening), you want to eat a meal with some protein and a good amount of healthy carbs (carbohydrates). Here are some carb-healthy dinner and breakfast ideas. Just keep in mind, it's never fun to eat a big meal right before a run. That will just weigh you down...literally!!! It's good to eat something light but satisfying and give yourself at least an hour and a half to digest your meal before running. A good source of nutrients right before a run is a snack of 100-120 calories. Some of my favorites are a banana, pretzels, jelly beans or Gu energy gels with caffeine for a boost of energy. Have you ever had a feeling during a long run that the bottom of your stomach just dropped out or that your legs just suddenly became so tired they couldn't carry you any further? There are two reasons for this happens to us. 1) We just need something to eat. 2) We need sodium and potassium. But how do you eat something during your run that keeps you going and doesn't make you want to stop? The trick is to take in 100-120 calories about every 45 minutes in a food form that replenishes the sugar, electrolytes, sodium and salt that you are sweating away as you run. Here are some great runners diet snacks to try during a run. Just a little tip, you might want to try these things on your training runs, not on the day of your race because you never know if a particular food will sit right with your stomach, and you wouldn't want to find out in the middle of a marathon. Even if you've eaten something before, you still want to make sure it sits right while you're running. Most of our digestive systems are very unstable when we are running. Your stomach might be queasy, making it hard to eat, but it is especially important to eat in the first 30 minutes after a run in order to best help you recover, rebuild your muscles and replace the nutrients that have been used up during your run. You want to eat foods that are high in proteins, as well as carbs and low in fat. My favorite thing to eat after a run is a spinach omelette and glass of tomato juice. When I've had a really hard run in the heat and my stomach can't take much, I enjoy a blueberry shake with lowfat yogurt or weigh protein. Here are some more great post-workout foods. The entire time I trained for my first marathon, I did not loose one pound. I didn't gain a pound either. But I got most of my carbs from pizza and beer. I’ve since learned that there is a way to eat enough to fuel up, and still loose weight. The key is to watch what kind of snacks and carbs you take in. But you do want to take something in. In fact, not eating enough can make you gain weight because your body, thinking it is starving, slows down the metabolism. One thing to pay attention to is what kind of carbs you are taking in. White rice and white bread fill us up, but they don't give us many nutrients, so all they really do is tack on the pounds. For healthier carbs, choose the whole grain. Brown rice, whole wheat bread, and sweet potatoes are good carb choices. Beans are also a very healthy carbohydrate if they don't give you too much gas! The carbohydrates in beans and sweet potatoes are supposed to give you longer lasting energy, so these are good carbohydrates to eat in the week leading up to a marathon or other long-distance run. For more about the benefits of cooking with whole grains, check out this article by Jessica, the author of Healthy-Eating-Simplified.com. Here are some more tips if you're running to lose weight. Here are some more weight loss tips to help you lose weight from a site dedicated to exercise and weight loss. Here are some tips on hydration for runners. 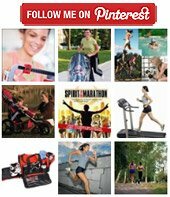 This is a great place to find healthy recipes or share your recipes. I especially like the egg muffin recipe. If you like eggs after your run, but that omelet never seems to turn out right, egg muffins are the perfect solution.